Breaking down UNLV’s game against UC Riverside at 7 p.m. Tuesday at the Thomas & Mack Center. Expect UNLV’s Noah Robotham to have a bounce-back game after his performance Saturday against Loyola Marymount in which he made 1 of 7 3-pointers and committed six turnovers. Dikymbe Martin leads Riverside with a 15-point average, scoring 20 points against Oregon State. The Rebels need Shakur Juiston to score more than the 12 points he did against the Lions, and he likely will play better. Mbacke Diong opened the season with eight points and six rebounds. Riverside starts two 7-footers who combine to average 12 points. The Highlanders have gone eight deep through the first two games, losses to Oregon State and Portland State. 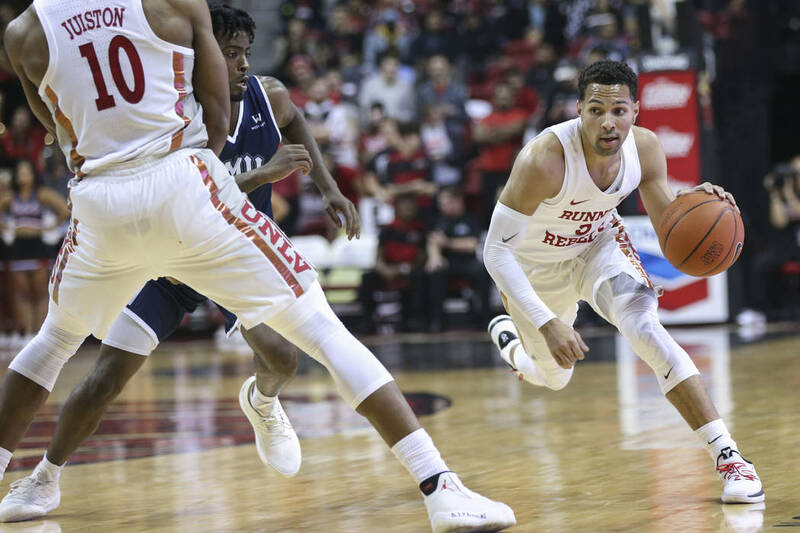 UNLV has gone deeper, but seems to be searching for a rotation and players who can deliver off the bench, even playing Ben Coupet Jr. nine minutes against Loyola Marymount. UNLV’s loss to Loyola Marymount raised all sorts of red flags about this season, including whether the Rebels have enough shooters to succeed. They will be pressed to respond against a Riverside team that can come in and not have anything to lose. More Rebels: Follow online at reviewjournal.com/Rebels and @RJ_Sportson Twitter.